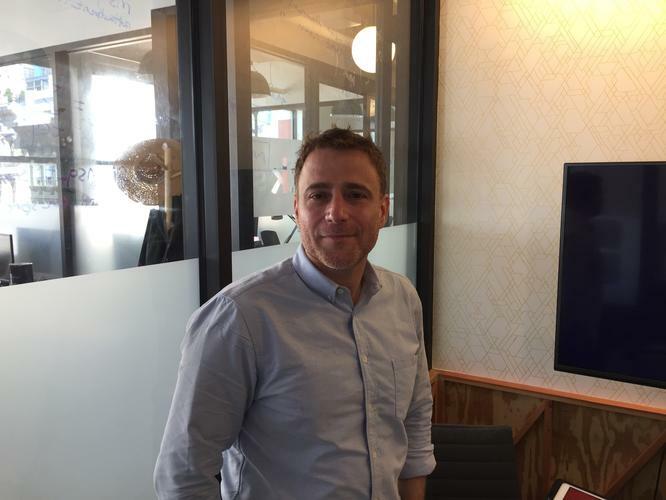 NEW YORK -- Slack CEO Stewart Butterfield has an audacious goal: Turning his messaging and collaboration platform into an uber virtual assistant capable of searching every enterprise application to deliver employees pertinent information. And if Slack succeeds, it could seal the timeless black hole of wasted productivity enterprise search and other tools have failed to close. "I think the team-level virtual assistant is the next software product category for enterprise that is on the order of [Microsoft] Office in terms of longevity and value," says Butterfield, who spoke to CIO.com at the office of shared workspace provider WeWork. "That’s a long shot for us because you have Baidu, Facebook, Microsoft and Google and a whole bunch of companies that have interested heavily in machine learning and search." Equal parts a platform for collaboration, productivity and project management, Slack burst onto the tech scene in 2013, garnering attention among Silicon Valley upstarts and media companies who raved about its capabilities, including invite-only channels and direct messages, as well as content sharing. Slack integrates with Salesforce.com, Box and other corporate software providers. The real potential comes in the form of intelligent virtual assistants, known as chatbots. Slack this year introduced a platform and development kit that allows third-party developers to build bots designed to make tedious tasks such as managing expenses, tracking projects or ordering tacos more efficient. If developers create enough bots, employees won't have to switch out of Slack to access apps in browser windows -- and that's good for Slack. But Butterfield sees the Slack of tomorrow as something much more empowering to users, a team-level virtual assistant capable of balancing the push-pull of information employees need when they need it -- that is, within the proper context. Corporations are complex, with product managers, human resources, IT and multiple other units collaborating on projects. Stakeholders are bound to have questions that only stakeholders from another department can answer, but connecting with them isn’t always feasible. Companies are frustrated with the needle-in-a-haystack difficulty of finding basic information from large volumes of data. For example, suppose that you wanted to know who someone's boss was, or what a business unit's revenue was for a quarter. You could ask around or sift through a corporate directory laden with an enterprise search system. But what if you could just ask a bot, which could retrieve the answer almost instantly? "You can build institutional knowledge and ask that of a bot instead of a human and it saves people a lot of time and offloads a lot of noise," Butterfield says. Butterfield's self-described Holy Grail goes both broader and deeper than such scenarios. He says Slack’s goal is to create an application that draws from ERP, marketing, sales, business intelligence and other enterprise systems to answer even more complex queries, such as, "What was our revenue on the date that we signed the term sheets for the last three rounds of funding?" Imagine trying to answer that question. You might scour your email or document-management systems, using such search terms as "term sheet," and pull up a handful of emails or files. Once you find the dates you might go to separate financial reporting tool to look up the revenue information. Such a process could take you as much as 45 minutes. Now imagine a tool -- a bot network operating as one if you will -- that could find the information in disparate apps, cross-reference it and generate the correct answer in seconds. Butterfield estimates that such a system would result in productivity gains of anywhere from 10 percent to 30 percent. “That is the knowledge worker equivalent of giving a ditch digger a backhoe instead of a shovel," Butterfield says. "I would love it if we were successful building something like that," Butterfield says. Today, it remains an optimistic view. While the “term sheet” question is basic enough for a human to understand computer programs are still easily stumped by syntax and grammatical ambiguity, despite hearty gains in natural language processing and machine learning aside. Indeed, today’s bots -- in Slack and elsewhere -- are a bit narrow-minded. They operate in tightly defined domains and rely on specific syntax from the employee issuing the query. Learning to speak each bot's special language will grow tired pretty quickly. And Butterfield knows this full well, "I say it's the Holy Grail because it’s much easier said than done." Adam Preset, a Gartner analyst who tracks collaboration platforms, says that adding such cognitive support would be valuable in a market where incumbents such as Microsoft and IBM are still trying to figure out how to use artificial intelligence, natural language processing to present users information. Preset says Slack could eventually train bots to recognize when conversations are going on to too long without a resolution in sight and recommend that the team members conduct a face-to-face or virtual meeting – and then it would schedule it for them. "Slack has a position as an interface that makes sense if messaging is the way you want to interact with the bots," Preset says. Slack, which has accrued its 3 million users largely through viral growth across teams within companies, has managed to elude the questions about competitors, largely because it has remained above the enterprise fray. While some progressive CIOs and CTOs have embraced the software, risk mitigation-minded IT leaders have stayed away. That’s about to change. Slack is building an enterprise version that will include many of the necessary attributes CIOs have come to demand from productivity and collaboration tools, including the capability to provision and de-provision users and have fine-grained control and policy setting over channels through a single web dashboard. The software, currently in testing with half a dozen businesses, will feature metrics about consumption and other analytics. When it does launch, platforms from Microsoft, IBM and the just launched Facebook Workplace platform will be waiting. Such options are good news for knowledge workers who have chafed for years under the scourge of email systems, where it can be hard to find what you wrote last night let alone what you wrote last year. Social software platforms, hailed as the natural reprieve for email, mostly just created more noise and for users fell under the “Yet Another Enterprise App” category. Slack aims to be the all-in-one, Swiss Army Knife of workplace productivity platforms. “It can be a front-end the way the web browser is the front-end,” Butterfield says. Butterfield says Slack has benefitted from fortuitous timing.